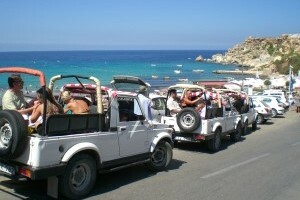 We pick up from most hotels in Malta. If parking near the hotel is limited or access to hotel is restricted, we will pick up from a point close to it. During the booking process add the name of your hotel. the name and address of your Guest House and we will allocate a suitable pick up point. allocate a suitable pick up point. DROP OFF after the tour is also included and we will return you back to the pick up point. ONLINE OFFER! Free Speedboat trip. Book early to avoid disapointment. 5+ GROUP DISCOUNT applies to groups of 6 adults or more and discounts vary depending on the tour/attraction. Add the number of people in the BOOK YOUR TOUR panel and the discount amount will appear. Free Speedboat trip when you book online. LIMITED PLACES! Limited availability. BOOK EARLY to avoid disappointment. A COMBO OFFER means that this tour/attraction has been combined with other tours/attractions at a discounted price. To view all combo offers related to this tour/attraction simply click on the combo offer icon. 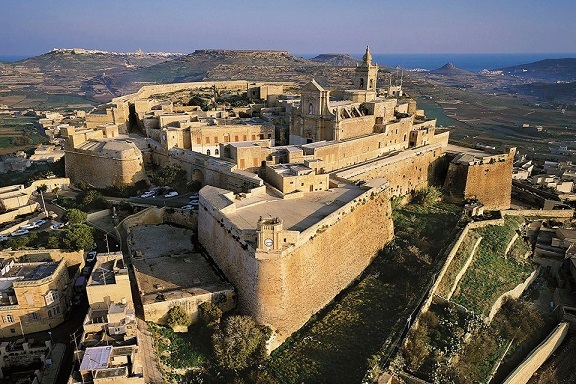 Booking your Gozo tours online is easy. Fill in the booking form, enter your travel dates and personal details. There are no credit card or booking fees and you will receive and instant confirmation. Book now to guarantee availability. Payment is charged 14 days before the tour/attraction date. Q Do you charge credit card or booking fees? If you book online there are no additional charges at all. If you book a tour locally you may incur a booking fee plus if you are unable to print a copy of the tour voucher which is required to join a tour, a charge to deliver a printed copy may also be charged. Q When do I have to pay for a tour booking? You can book a tour as many weeks or months in advance, however we will not charge your credit card until 14 days prior to the tour date. 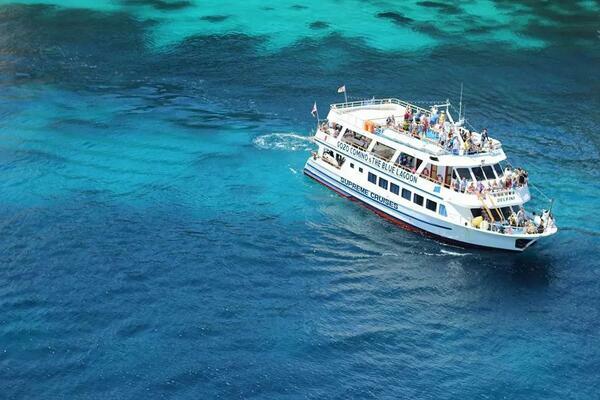 You will receive the tour voucher/ticket by email as soon as we have charged your credit card. Q Are tour bookings immediately confirmed? If you book a tour more than 14 days before the tour date you will receive a tour confirmation booking. You will then receive a tour voucher/ticket after we have charged your credit card 14 days before the tour date. If you book a tour 14 days or less before the tour date you will receive both the Tour Confirmation Booking and Tour Voucher at the same time. Q Is a pick up and drop off included? 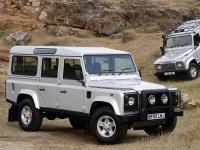 Nearly all of our tours include pick up from hotels and other central locations, towns and villages. You can check if a pick up is included on the tour details page. During the booking procedure you are requested to provide details about your hotel/accommodation so we can advise the time and pick up point. This will be printed on your tour voucher/ticket. Tours that include a pick up also include drop off after the tour. Q Are you a licensed agency? 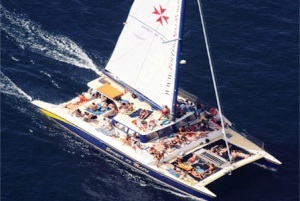 Sheridan Leisure Ltd is licensed by the Malta Tourism Authority to operate incoming travel services, local tours and to act booking agents for other tour operators. Our operators license number is TRA/M50 and this is clearly displayed on the header of the website. Q What if I have to cancel a tour? You can cancel a tour up to 15 days before the tour date and you will not incur any charges at all. a) Unable to arrive in Malta due cancellation of flights/cruise caused by extreme adverse weather conditions. b) You are hospitalised prior to your departure. Proof of hospitalisation must be provided on request. Q Do I have to book in advance? There is no 'Yes' or 'No' answer to this question. When you pre book you will be selecting the tour and the date that you would like to do a specific tour. 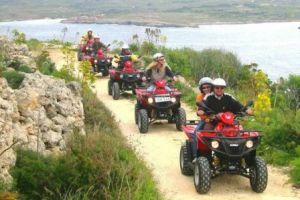 If you wait until you arrive in Malta to book locally there is no guarantee that the tour you want to do will be available on the date that you want to do it. Certain tour providers have a 'cut off date' or 'deadline date', this means that they will only accept bookings before these cut off/deadline dates. This can be 2 to 4 days in advance...and in some cases longer, even a week before during busy seasons. Q Are the tours guaranteed to operate? On very rare occasions, a tour operator/supplier may be forced to cancel due to adverse weather, an operational or technical issue or any other reason which forces the tour operator/supplier to cancel. See What if the tour operator/supplier cancels a tour? Q What if the tour operator/supplier cancels a tour? You will have the final decision! Q What if I want to change the date of the tour or add the number of people? This is possible, however changes are subject to availability. Q What is included in the tour price? Tour content is different on all tours. You can check exactly what is included by checking the full details page. If you are in doubt or unsure you can contact us by email at info@maltatravelnet.com. Q Can I book a tour from my hotel? You may be able to book some tours from your hotel, however there is no guarantee that you can book the tours featured on our website. Hotel staff normally demand high commission payments and therefore we do not have booking arrangements with many hotels. We prefer to keep our prices reasonable and therefore encourage you to book directly online to save on unecessary additional expense. Q We are not sure which tour to book, can you help us decide? Absolutely no problem at all! 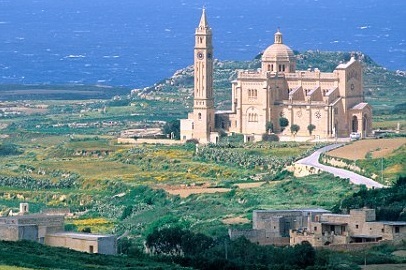 You can contact us via the form on the Contact Us page or send an email to info@maltatravelnet.com. In your email specify what is of interest to you, your dates of travel and number of passengers. If you want to do more than one tour, mention all the tours that are of interest to you. It is important that you include as much information as possible. We will reply with our recommendations and look forward to hearing from you. If you have a question which is not included above do not hesitate contact us. Book your tours and attractions before you arrive and guarantee places on the things that you really want to do. You can book weeks or months in advance and we will not charge until 14 days before the tour/attraction date. You can add, change and even cancel your bookings before the payment date without incurring any charges. Book any of our listed tours or attractions and get a discount on the next one you book. Each time you add a tour or attraction you will receive a discount. So the more you book, the more you will save! This offer is only available when you book online and providing that you book at least 4 days before the attraction/tour date. If you find the price of a tour or attraction cheaper on any other website we will refund you the difference plus an additional 10% of the difference. The tour content must be identical to the tour that we are offering and operate on the same day and be of the same duration. Details must be sent to us at least 72 hours before the tour date. Send details to info@maltatravelnet.com. A Sheridan Leisure Group Website. Licensed by the Malta Tourism Authority TRA/M50.